As you can see from the images I have set wholesale price (without markup) and then a retail price (inc markup) BUT the tax rule is set to 'No Tax'. 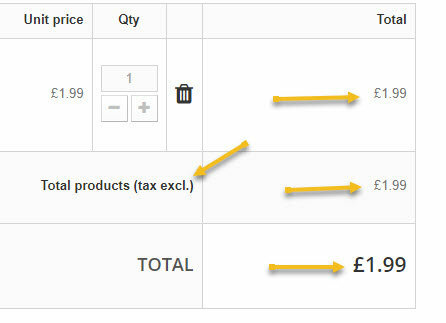 However when I add product to cart it displays 'tax excl.' 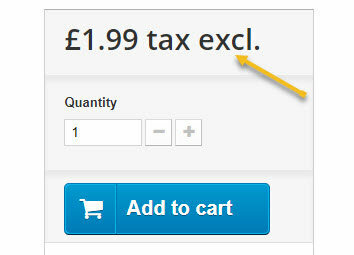 , it does the same in the cart but the always shows the retail price as £1.99? 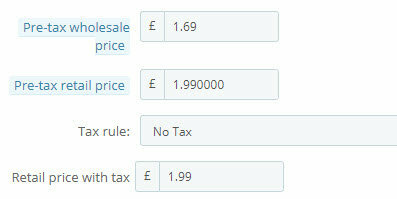 Am I doing something wrong in my product pricing, or do I need to remove the 'tax incl.' from the add to cart and the cart?